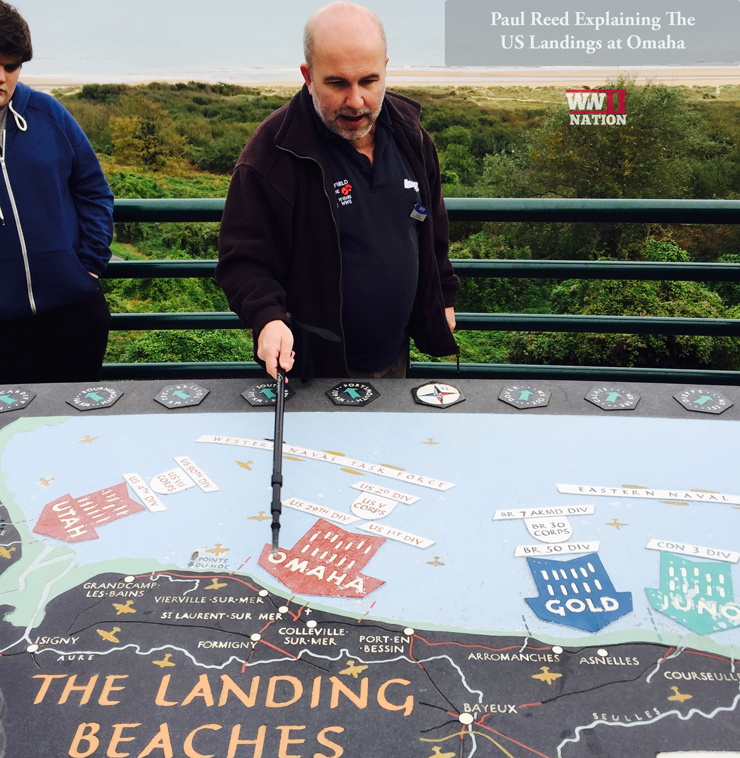 Having recently ventured to Normandy to explore D-Day with military historian and head Leger guide – Paul Reed – we spoke with him about what it is like to be a battlefield guide, Normandy and his experiences as part of the Dig WW2 Team with Dan Snow. In your excellent book, Walking Normandy, you mention that during your very first trip to Pegasus Bridge with your father, that you actually met Major John Howard. That must have been an incredible experience. Was this what first inspired you to become a battlefield guide? Not really. I grew up on my father’s stories of WW2 and all my uncles served. Anyone of my generation grew up on Airfix kits and Battle comics, so WW2 was very much a part of my childhood and military history generally became my passion. I first visited Normandy in 1979 and the WW1 battlefields soon after and by the late 1980s found people were asking me to guide them to places and I have been doing it ever since: some 28 years now! 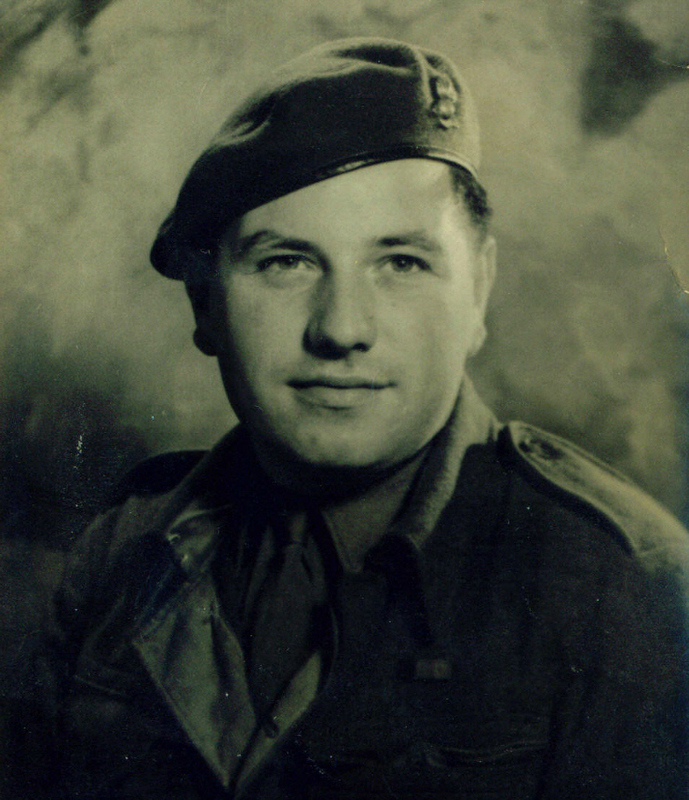 Your father served on the Italian Front during the Second World War; did he talk much about his experiences? For a long while not much in detail, except the odd funny story. Then I gradually got him to write about it, starting with his time at Anzio, and when my own children came along he spoke a lot more to them about it. He is like many veterans of that generation; he greatly plays it down and does not seek public adoration for what he did. 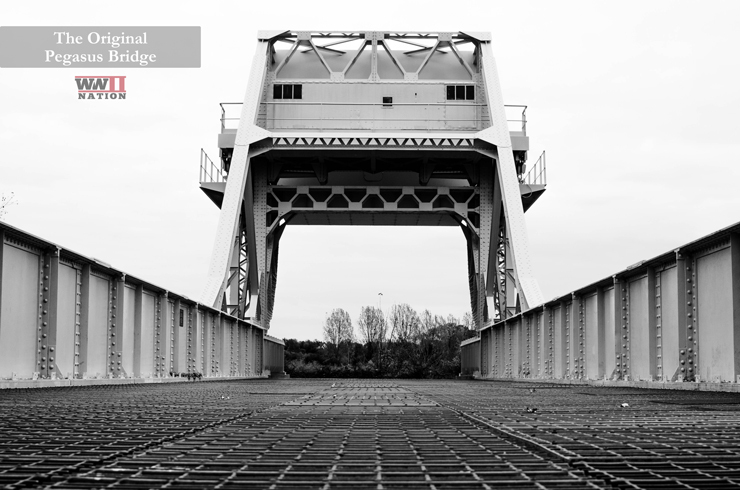 The operation to capture the Pegasus and the Horsa Bridges over the Orne canal is an incredibly fascinating tale of daring and bravery, are there any other individual actions or part of the D-Day story, or perhaps the wider Normandy campaign that is of keen interest to you? 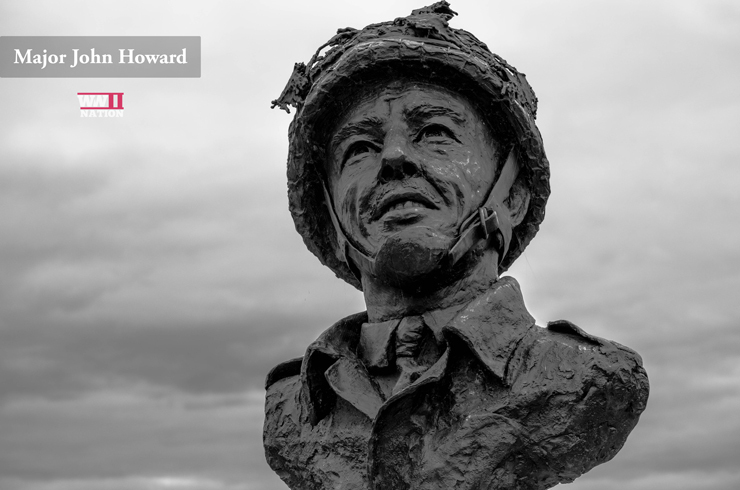 The landings on D-Day are so historically rich there are just so many fantastic stories. The often forgotten Airborne Engineer tasks I find amazing; groups of Royal Engineers tearing around in Jeeps full of high explosive to bring down the important Dive river bridges so that the Germans could not break into the landing areas. The attack on the Hillman bunker is also a great D-Day story; an early example of a British ‘battle group’ in action and great tales like the Engineer officer who trains his men up on every type of mine possible and when he lifts the first one in front of Hillman to allow the Suffolks to attack, he doesn’t recognise it! The mine turned out to be an old pattern British mine captured at Dunkirk: something he never thought to look at! 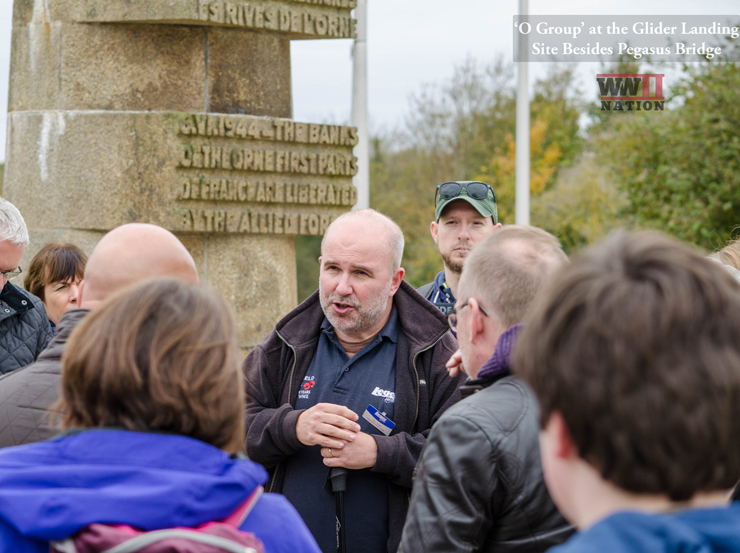 During the time that you have been a battlefield guide you must have met and spoken with many WW2 and in particular Normandy veterans who must have told you some incredibly fascinating stories. Are there any that have specifically stuck with you? In the eighteen years I have worked for Leger as a guide I have been greatly privileged to be on all sorts of WW2 battlefields with veterans of the conflict: not just Normandy but everywhere from Arnhem to Anzio to the Rhineland. Among the highlights was standing on Snakeshead Ridge at Cassino listening to a former Indian Army officer talk about how he had watched the bombing of Monte Cassino and vividly described the bombers coming in and the whole mountain shaking as the bombs struck. At Arnhem once I had a Airborne medic veteran wearing his original beret which he then told the group how he had saved by tucking it in his underpants as he stripped off to swim the Lower Rhine at the end of the battle! All of these great experiences are about understanding how these were ordinary men in extraordinary circumstances. Having walked the battlefields of Normandy for almost 30 years now and guided many a D-Day Tour, is there a particular location or walk that is a personal favourite of yours? I love walking through the Bocage. That is where you truly get the feel of the Battle of Normandy. In many places around Bayeux it is almost as if time has stood still: the hedgerows still show signs of foxholes, machine-gun positions and even barbed wire still hanging on wartime piquets. It’s very atmospheric here; and it is as if the men who fought and died there somehow still linger. 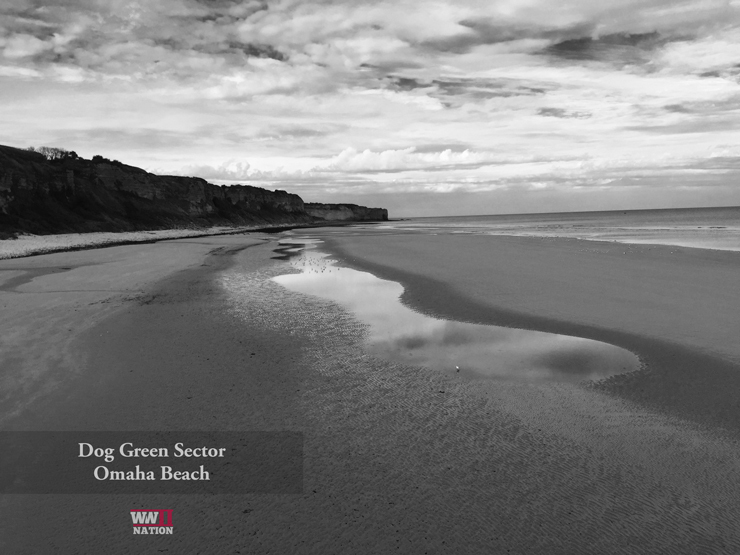 On the beaches walking along the shoreline at Omaha never fails to impress; when you stand there on the spot where the ramps came down and look up at those high bluffs you ask yourself how anyone survived that day. Have the battlefields changed much in the time you have been doing this or have they been relatively well preserved for future generations? In Normandy the changes have been slight compared to other battlefields I visit. 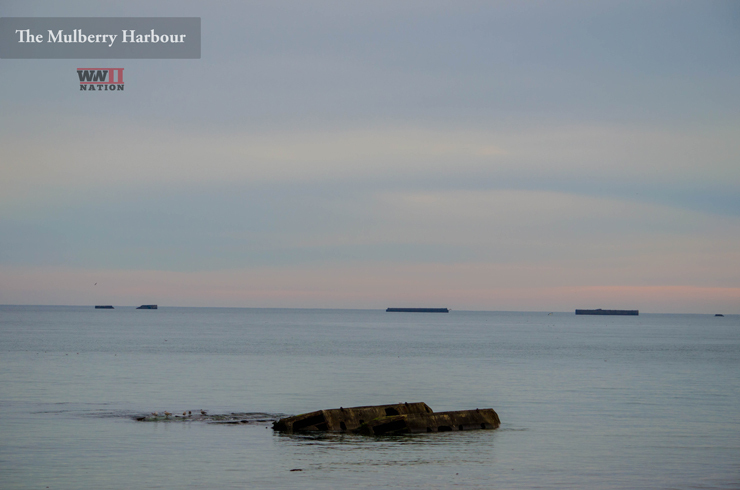 Nature has tried to claim some things however; in recent years the surviving Phoenix sections of the Mulberry Harbour have taken a real battering in the cruel seas and some have been badly damaged. But generally the people of Normandy understand about preserving military heritage, perhaps almost more than anywhere else I visit. Down the years, have the numbers of visitors remained consistent and the interest and yearning to remember this period of history? When I first went to Normandy it was pretty quiet. It has always been busy as a holiday destination but interest in the battlefields was low then. 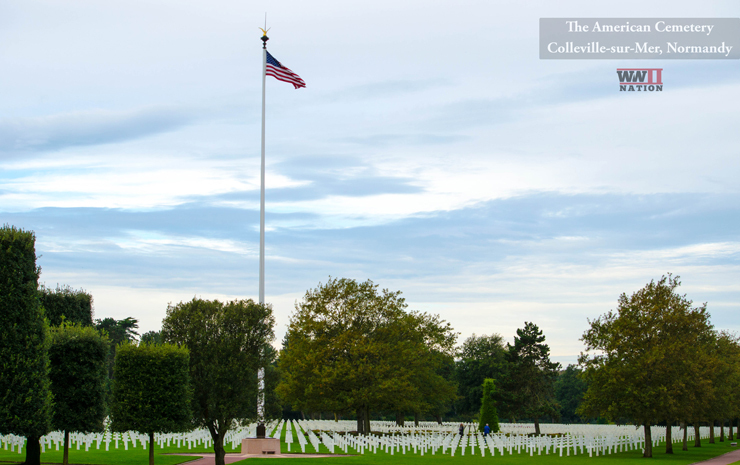 It has grown ever since and now the Normandy American Cemetery gets more than a million visitors a year and over 800,000 people were in Normandy for the 70th Anniversary last year! I would say the desire to learn about D-Day and the Normandy story is very much on the increase. Looking ahead I would love to see a British schools project in Normandy similar to the one on the WW1 Battlefields at present for the centenary. 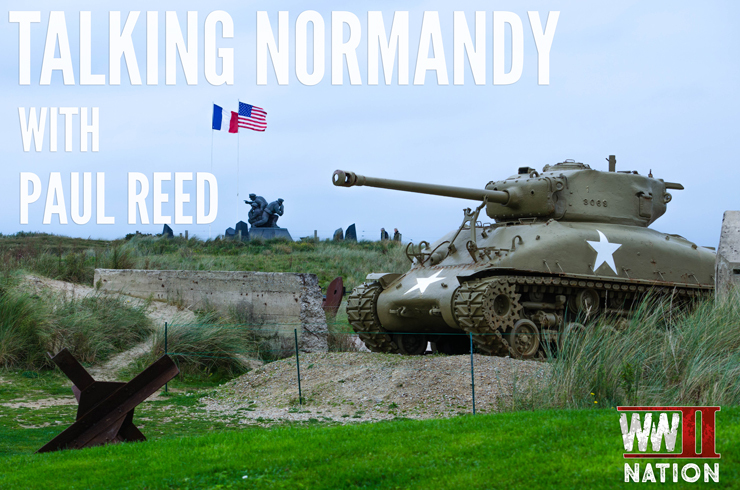 With the centenary events of First World War upon us, has this made much impact on the number of people visiting Normandy’s D-Day sites as well as other World War II related sites? No, not really. A lot of people have taken time to visit the Western Front but there is no apparent evidence it has affected numbers on WW2 battlefields. Certainly our WW2 tours with Leger are proving just as popular, if not more so in the past year or more. 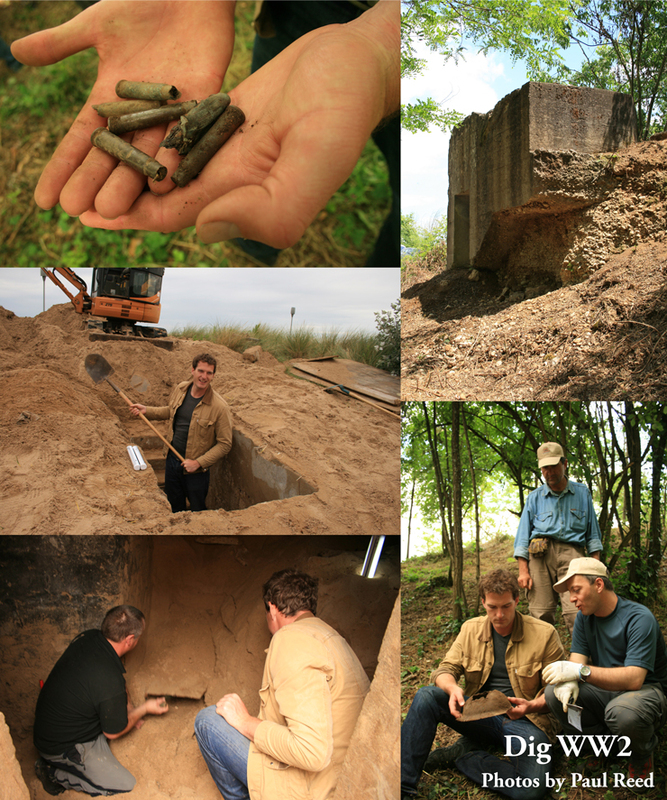 As part of the Dig WW2 Team with Dan Snow, you excavated a number of the D-Day positions in Normandy such as the Brecourt Manor gun battery position and the bunker and tunnel complex WN-31 at Juno Beach. What was this experience like, did it reveal anything new and dispel any previously held misconceptions and what discoveries or revelations did it provide? Having worked on archaeology projects on the WW1 battlefields it was fascinating to see what a dig on a WW2 site would reveal. Largely speaking the Second World War was not as static as the First but what the digs showed was that a lot remains, in exactly the same sort of way as on other earlier battlefields. At Cassino we had looked at the story of a Canadian Recce unit which had attacked a bunker on the Hitler Line. The dig by the Gustav Line group unearthed the whole story! From the cartridges dropped from the weapons of the recce partrol to the machine-gun belt links of the Germans MGs firing back to the shattered helmet of one of the casualties. At Brecourt the dig destroyed many of the myths of the Band of Brothers assault: the work showed that no ‘trench system’ existed and that the gun pits were not even timber lined. So it was helping us understand history in the same way as a dig on a Roman site. At Juno the thrill was going in a bunker no-one had seen for decades: it was unlikely any objects would remain, and they didn’t, but what it did show us was how complicated the infrastructure of the Atlantic Wall was. It is clear that WW2 Battlefield Archaeology has a great role in our knowledge of the period; and something I hope to be involved in again. 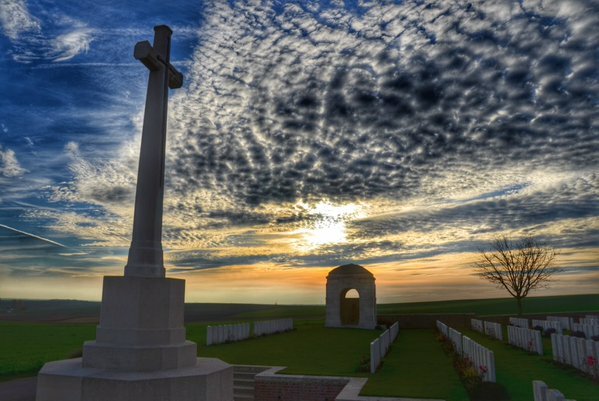 What is your fondest memory and personal highlights of being a battlefield tour guide? It is always good to be able to take someone to see a relative’s grave and it does not get much more personal than helping those who want to see their father’s last resting place. It happens all the time on Leger WW2 tours and we have had some very moving times over the years doing this. However, my own personal highlight was on a Great War battlefield – the Somme – when a Leger group I had scattered the ashes of the last veteran of the Hampshire Regiment as an Army bugler played the bugle call of his battalion, last sounded in 1918. Quite something! Obviously it is not just Second World War battlefields that you focus and guide on but First World War sites as well. Is there a specific battlefield that is a personal favourite of yours to guide on? 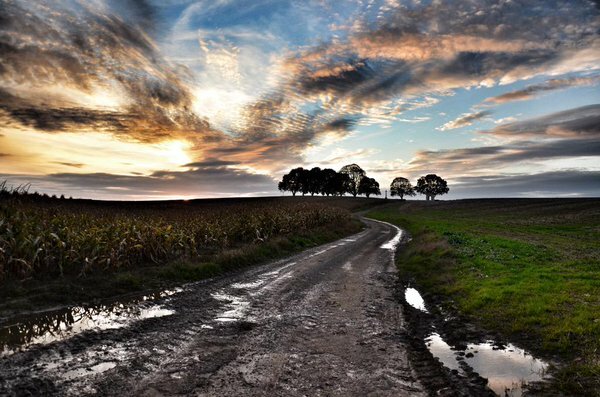 The Somme has been my home, as well as a battlefield I visit, for many years and of course I never tire of walking the lanes of Picardy. But to be honest I do not really have a ‘favourite’ battlefield: I find them all interesting for different reasons and guiding tours I tend not to guide the same area twice in a row. So one week I can be at Arnhem, the next Normandy, the next the Somme and then Flanders, and so on. It keeps my own personal fascination with it fresh and also means I have to keep on my toes in terms of what I am doing, too! There must be a lot of hard work, battlefield recces and research that goes into preparing for a tour. What is your usual process of preparation for a tour? An interesting question. I don’t really ‘prepare’ as such for a tour. I do not use notes and do not like the ‘stand’ approach to battlefield tours. Running a tour as a guide is – for me – like writing a book or producing a TV documentary: there has be a beginning, a middle bit and an end. People like a story, but equally they like to know what historians today think about these subjects so I try to make it a good mix of ‘real’ history and anecdotal material too, as people do enjoy the many stories I have acquired from being with veterans of both World Wars over the years. So what I am saying is that it is not just about writing up notes about a specific stand; you need to have a much wider knowledge and be able to adapt. In that the preparation aspect comes with experience over time and having said all that you cannot be complacent as a guide, so I suppose the preparation I do for a tour is working out how you plan to do that particular tour and what subjects to include: in many respects tours are a compromise and you quickly learn you cannot do everything. The mantra ‘less is more’ in how you deliver information is something I learned a very long time ago. In developing new tours for Leger then yes, preparation is necessary. It is important to invest in guide training so throughout the winter I am away with my teams of guides getting ready for the new tours, looking at the ground, working out how we are going to guide it and looking at all the practical implications too – because battlefield guiding is not just about the history side of things. I also find that I read a huge number of books and articles, to see what the latest arguments about a period are, to read new personal accounts and to keep up with the sort of books that passengers are likely to have read too and will ask about. But I don’t see it as preparation really as I would do it anyway. And that’s the rub: guiding is not just a job, it is a way of life and something that is and should be all consuming. We actually have a question for you from one of our readers, Andy who has asked about how someone becomes a battlefield guide. From your own experience Paul, do you have any advice that you could give to anyone aspiring or thinking of becoming a battlefield guide and how to achieve this aim? That is a very good question and I must confess I do not really have a definite answer. There are courses, there are organisations to join – I see the latest, Warwalkers, has just come online – and indeed there are many people who want to guide. But is there work for them all? The simple answer is no: unless they want to run their own tours. Big companies tend to use guides with proven experience and you cannot acquire that experience – knowledge, speaking in public, dealing with people – in a short timeframe. Courses help but they are not a shortcut to guiding. In reality only a very small number of guides work on a regular basis, so for many it will never be a ‘career’ as such. The best guides who work with me have been interested in the subject all their lives but have pursued separate careers which have given them the ability to cope with the practicalities of guiding, whether this is in the armed forces, the police, in education or in the wider world of work and life. The basic premise for any aspiring guide is simple, though: read everything, think about how you would explain what you’ve read to a group, and visit the battlefields continuously. Understanding and knowledge of the ground is essential. No-one is going to pay you to do this: you need to want to do it, whether you eventually guide or not, but anyone coming to an employer of guides with that sort of background should get noticed. And it is a lifelong thing: you need to be able to keep enthusiasm for a subject so it means wanting to learn more and more, the more you guide. No-one knows it all, and that is the beauty of it. 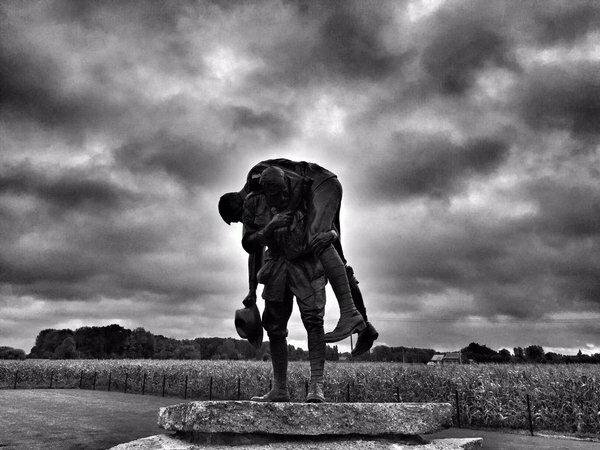 We hope you have enjoyed reading this and a big thank you to Paul for sharing with us his experiences as a Battlefield Guide and also for allowing us to use a few of his photos for this post. 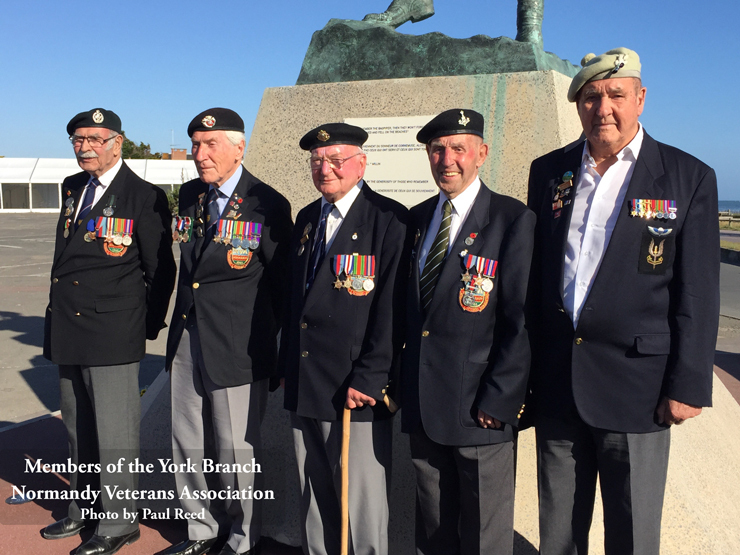 Read More about Paul’s father Bert and his experience at Anzio by Clicking Here. 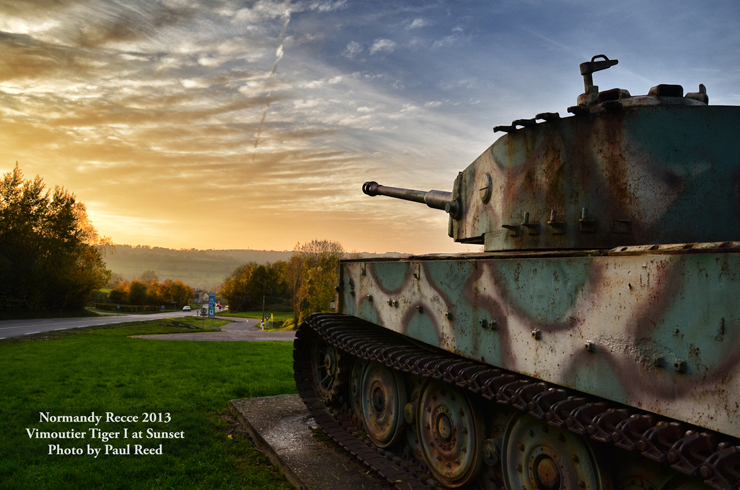 You can follow Paul’s battlefield guiding and excellent photography exploits on Twitter and also his website WW2 Revisited.